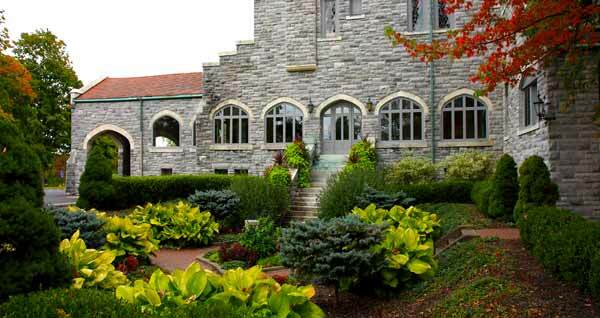 Glamorgan is an American Castle built by the son of a European immigrant who brought his family to the United States at a time when the country was perhaps at its worst. Thomas R. Morgan Sr. was born in 1834. Like many of the young boys of his time, Thomas began working the coal mines at age 8. Three years later he lost a leg in a mining accident and spent the next 3 years recouperating from the accident and going to school. At 14 he became an apprentice in a machine shop and started on his life-long journey in the industrial revolution. By the time he was 31, he was married with 3 children. Increasingly frustrated with his life in Wales, he decided to move to America and they arrived in New York on April 15, 1865, the day of Abraham Lincoln's assassination. Over the next 3 years he worked in a series of iron shops, until he found the right opportunity to open his own business. After outgrowing his current facilities, he moved the operation from Pittsburg to Alliance, Ohio after taking on a partner. Together they opened the Marchand & Morgan Hammer Shop. After taking on additional partners, Morgan finally gained full control over the business in 1884, and changing the name to the Morgan Engineering Company. Thomas Morgan Sr. died in 1897 and his son, William Henry Morgan bought out his brother's interests in the company and incorporated the business in 1900. In 1904 William began construction of his new home to be called Glamorgan Castle in honor of his father's home in Wales. Having the appearance of a castle is no mistake. Architect Willard Hirsh went to Europe to study castles and construction methods so Morgan's home would be on a grand European scale on the 50 acres of land surround the home. 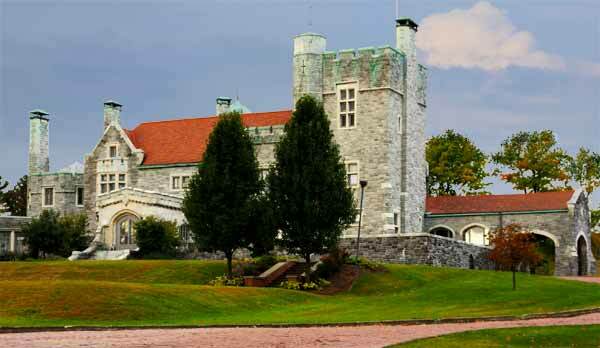 Unlike the European castles, Glamorgan featured many modern comforts, including bowling alleys, a billiard room and a large swimming pool in the basement. In 1904, Col. Morgan visited the St. Louis Exposition and, after its closing, purchased a number of furnishings for his new home. Among those were 4 marble statues representing the 4 seasons, which originally stood on the front terrace. Today, the statues have since been placed inside the rotunda for their protection and preservation. Eleven years after Col. Morgan's death in 1928, the Elks Lodge purchased the home and property. Twenty-five years later the Alliance Machine Company rescued the home and restored it to its former grandeur while converting the property to their international headquarters. In 1973, the Alliance City Schools purchased the castle and some of the land which now houses the school district's administrative offices. Glamorgan Castle is located at 200 Glamorgan Street. 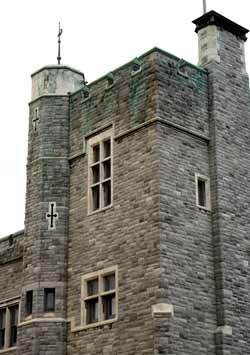 For more information about touring the Castle, please call (330) 821-2100.